CATH IS A SIMON SNOW FAN. Okay, the whole world is a Simon Snow fan... But for Cath, being a fan is her life--and she's really good at it. She and her twin sister, Wren, ensconced themselves in the Simon Snow series when they were just kids; it's what got them through their mother leaving. I received a physical copy of this from Macmillan and My Kinda Book. Thank you to the publisher for giving me a chance to read and review this. Fangirl is a novel that everyone has been raving about, so I was a bit sceptical when going into this. Normally I suffer with hyped books. I don't tend to enjoy them as much as everyone else does, sadly. 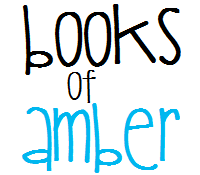 When going into this book, I could understand why people enjoy this book; especially to fans of fan fiction. I personally have never read fan fiction of any sort. I guess it's just because I am a pure fan of the original story, and just find more enjoyment in re-reading those. Also, I have it in my head that I don't have all the time in the world to read fan fiction, and need the time to read the other books I own! Inside Fangirl are short fan fiction stories that the main character has written. You get these slotted in inbetween the chapters. To be honest, I started reading those, and then after a while, I found I was more interested in the main story of the book. I suppose in the end it is optional for you to read the fan fiction. It isn't a necessity, but if you are mega involved in the story, then you can read it as an additional thing. I really like Rainbow's writing style, and I am starting to grow and love it. 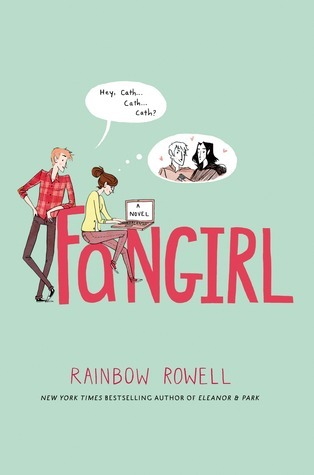 I did struggle with Eleanor and Park by this author, but I found I did enjoy Fangirl more. I liked the general storyline to this book. It is very cute and full of fluff, and definitely one of those books that will make you smile. My favourite character will have to be Levi! He is a loony, very crazy, and I tend to lean towards those people, haha. My only dislike is just I feel there was something missing for me. Just that special sparkle to make me put it on my favourites shelf. I have yet to find a Rainbow Rowell book that is going to wow me. She is a favourite author of so many, and I want to join everyone in raving about the amazingness that is Rainbow. I want her to write a five star book that I will talk about non-stop and annoy everyone with. I admit I have become a strict reviewer as of late. There was a time I was giving every book a high rating, even when I found things personally wrong with it. I really liked how the book began and ended. It defintely fills you with that satisfied warm feeling. Well done to Rainbow for this book. I deserves the rating of four Kitkats that I gave it. I can't wait to read her other books! If you have read this book, let me know what you thought, liked and disliked down in the comments below!